Former President Ronald Reagan’s family has hit out at the producers of new film The Butler for allegedly portraying him as a racist. 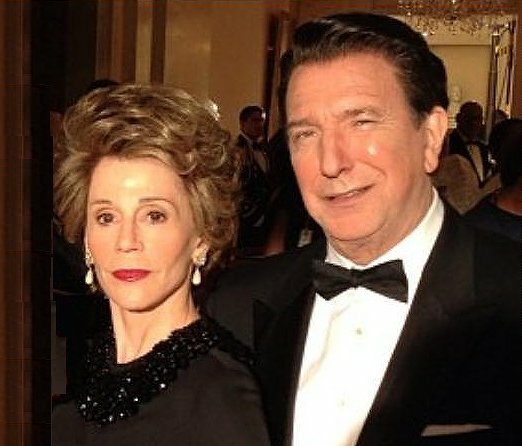 Ronald Reagan is played by British actor Alan Rickman in The Butler, which tells the story of black man Cecil Gaines who served in the White House for 34 years. However, Ronald Reagan’s son claims that the portrayal implies that the former president was prejudiced against black people, when in fact he helped the cause of African-Americans and showed friendship to the real White House butler. The Butler, which was released in the U.S. two weeks ago, follows Cecil Gaines, played by Forest Whitaker, as he experiences decades of American history at the side of multiple Presidents. The film is based on the real-life story of Eugene Allen, who died in 2010 and served every President from Ike Eisenhower to Ronald Reagan. Alan Rickman, known for his roles in Die Hard and the Harry Potter series, plays Ronald Reagan, while anti-war activist Jane Fonda was controversially cast as his wife Nancy. In the film – as in real life – Ronald Reagan invites the butler to attend a state dinner as a guest instead of an employee. But Cecil Gaines is uncomfortable with the experience, and turns against the President over Ronald Reagan’s move to lift sanctions against South Africa over the apartheid regime. Ronald Reagan’s son Michael has launched a blistering attack on his father’s portrayal, writing in Newsmax that the film should be called The Butler from Another Planet because it is so historically inaccurate. “Portraying Ronald Reagan as a racist because he was in favor of lifting economic sanctions against South Africa is simplistic and dishonest,” Michael Reagan wrote. He pointed out that the leader had a record of friendship towards black people, having been close to a number of African-Americans during his college days. When Ronald Reagan was governor of California, his son wrote, he more than doubled the number of black officials who had ever been appointed in the state’s history. Michael Reagan claimed that his parents “treated Mr. Allen with the utmost respect” – unlike in the film, where Cecil Gaines’s invitation to the state dinner is implied to have been an act of tokenism. The film culminated with the butler’s resignation as a protest over Ronald Reagan’s opposition to South African sanctions, though there is no evidence that this was the reason for Eugene Allen’s retirement at the age of 67. “The real story of the White House butler doesn’t imply racism at all,” Michael Reagan wrote. Allen told his interviewer in 2008 that he was “especially fond of the Reagans”, and resolutely refused to criticize any of the Presidents he worked for. The Butler, directed by Lee Daniels, takes a number of liberties in adapting Eugene Allen’s life story, most notably in inventing an episode in which his mother is raped and father killed by a plantation boss.